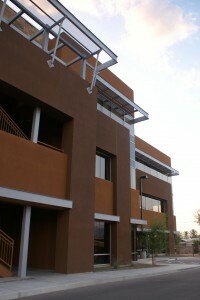 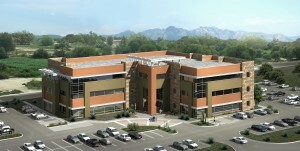 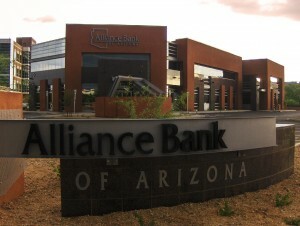 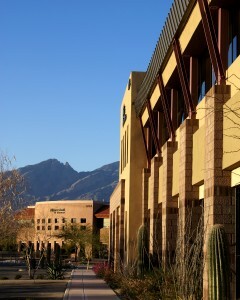 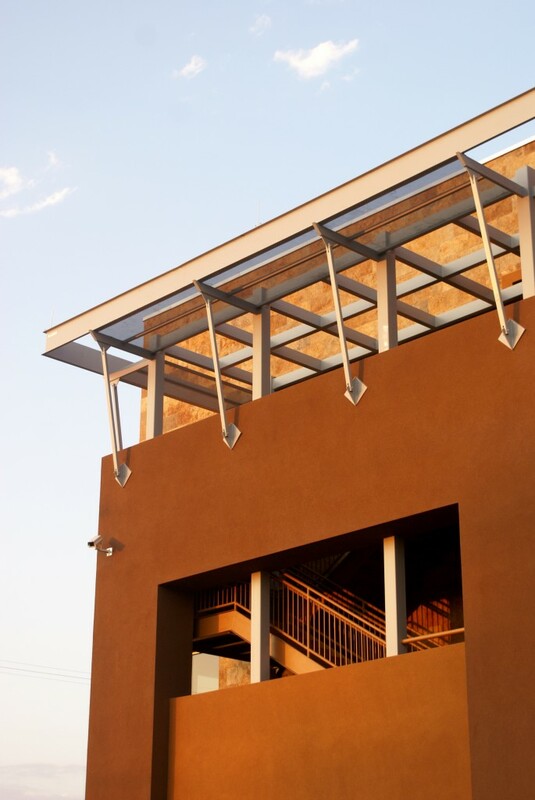 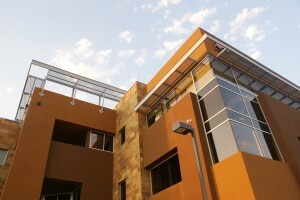 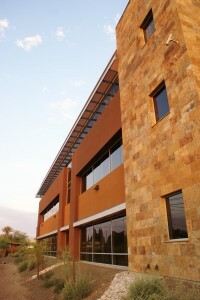 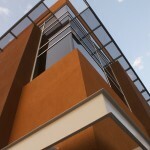 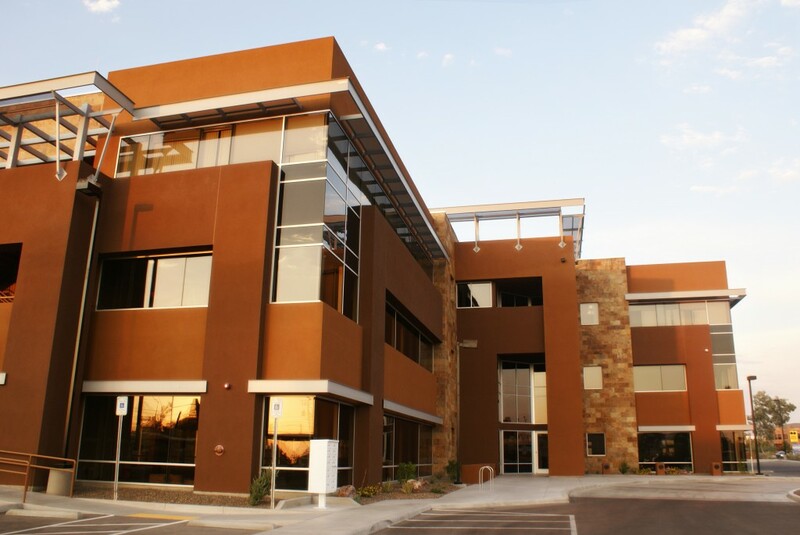 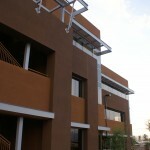 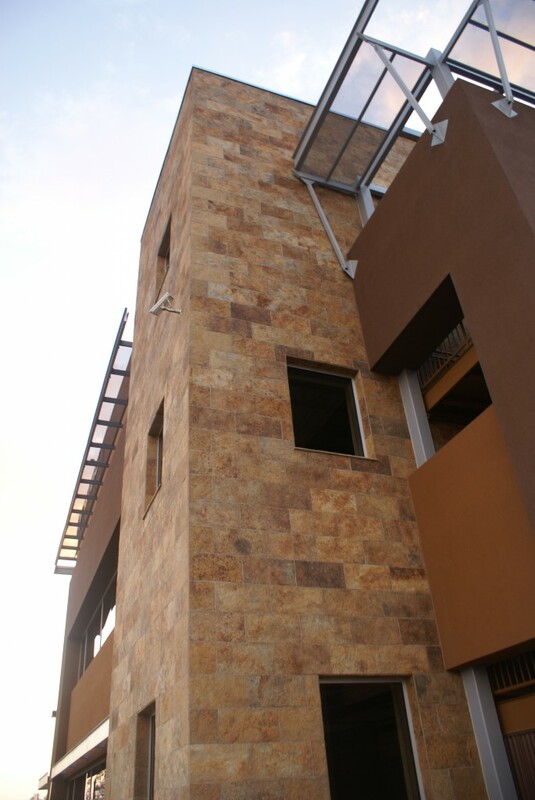 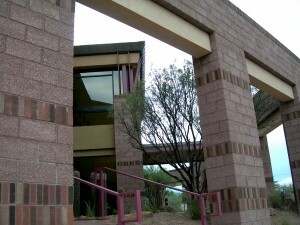 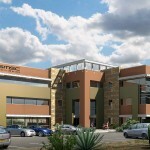 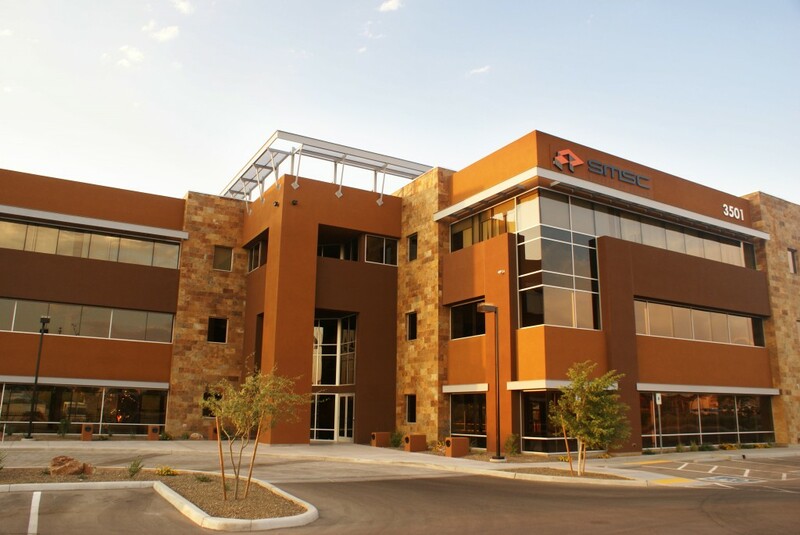 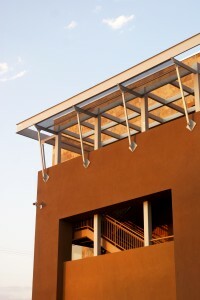 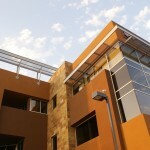 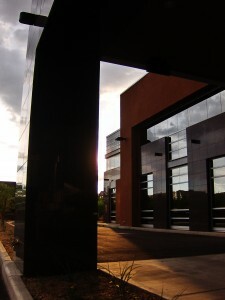 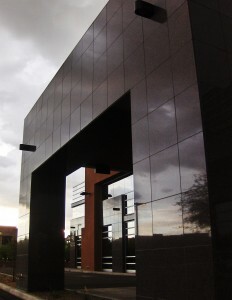 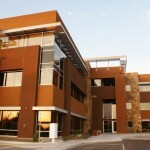 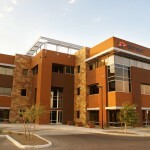 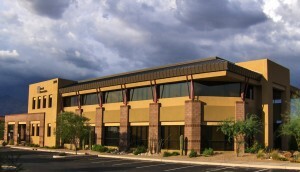 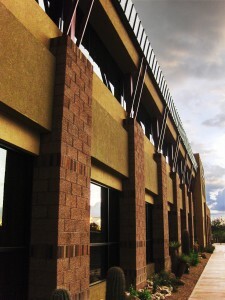 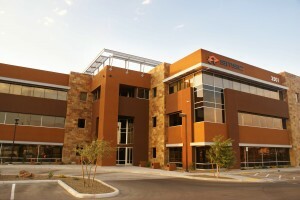 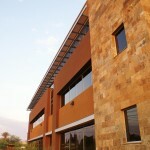 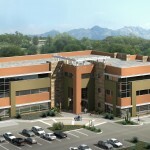 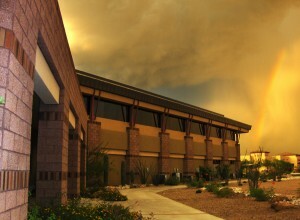 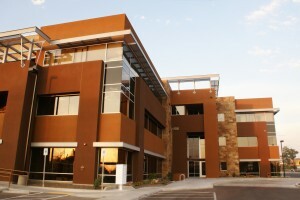 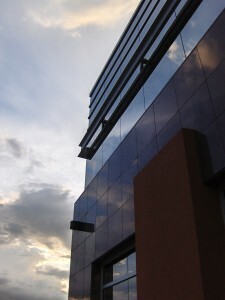 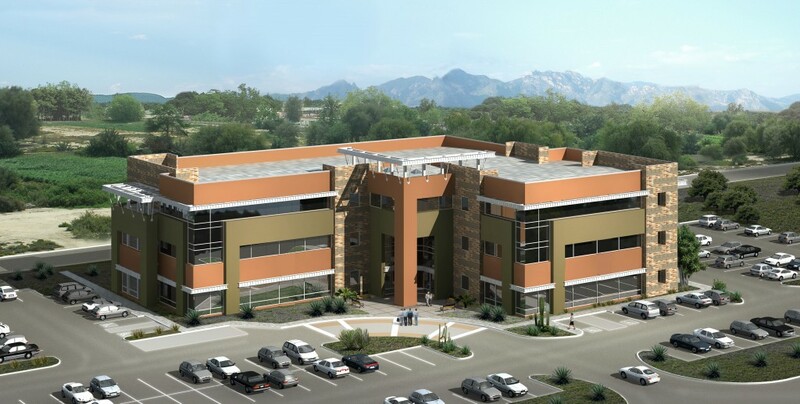 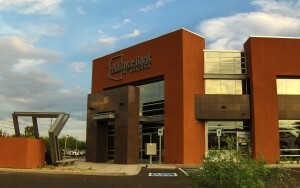 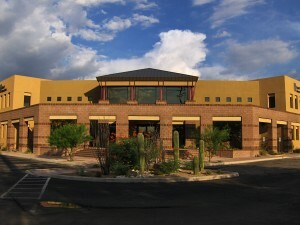 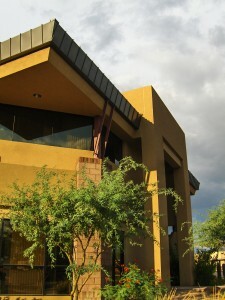 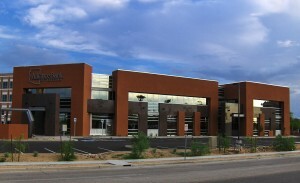 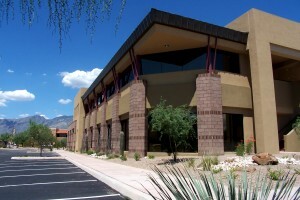 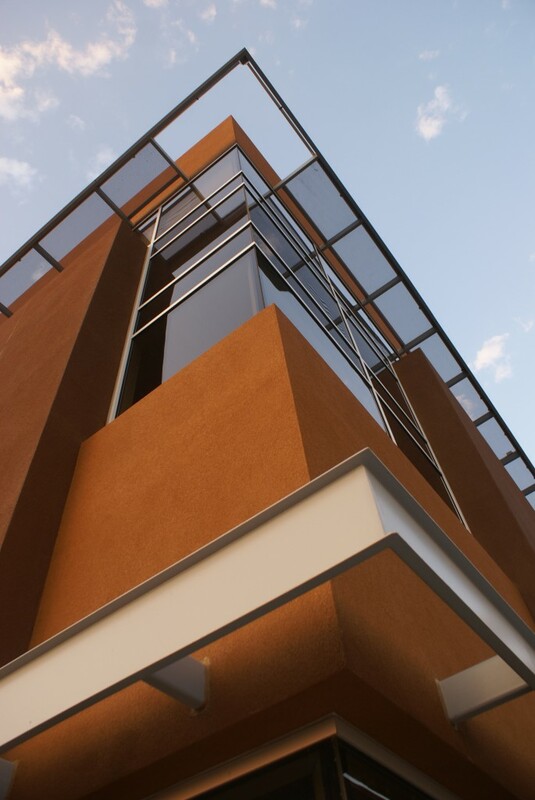 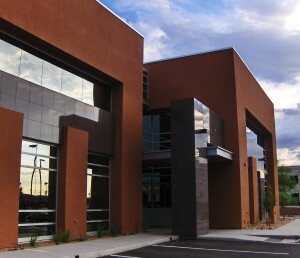 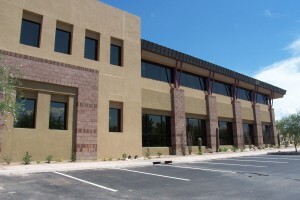 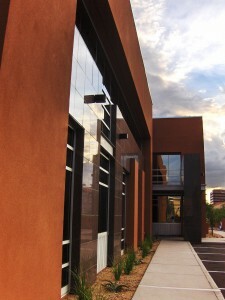 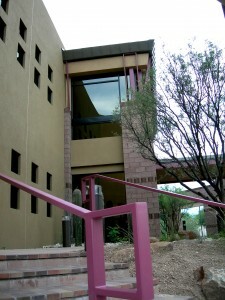 Located along the busting Speedway Boulevard in midtown Tucson, the contemporary three storey Monte Vista Corporate Center contains 39,000 square feet of office space. 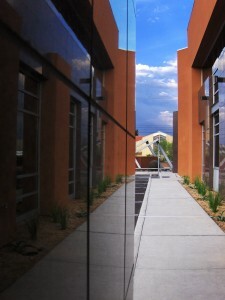 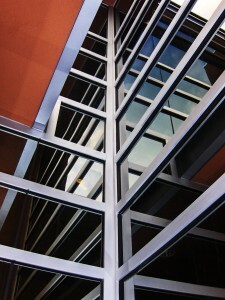 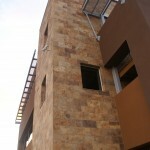 The building is organized around a light-filled atrium that serves as a common area. 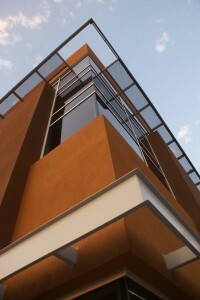 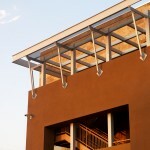 Steel accents, ample glazing and variegated slate veneer provide a harmonious mix of materials and color.